The blue Ford oval badge in the grill of a pickup truck on a sales lot. 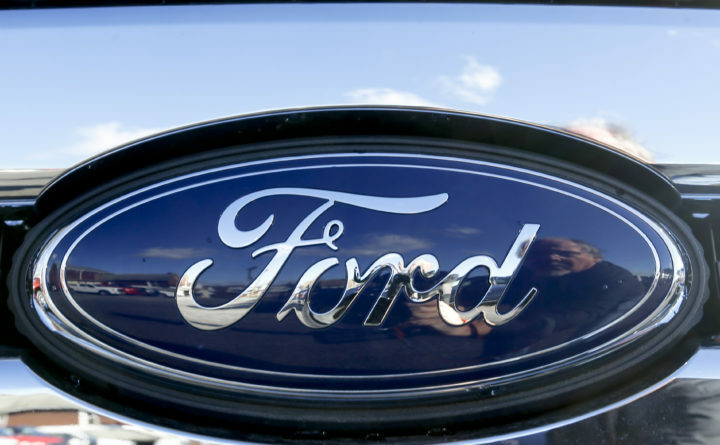 Ford Motor will shed thousands of jobs at its European operations in a bid to return the business to profitability in a broad restructuring that doesn’t rule out shutting down production plants. The carmaker has struggled with an aging model lineup and a contracting market in Britain, Ford’s biggest in Europe, which is in store for further disruption from Brexit. The manufacturer — employing some 54,000 workers across the region mainly in Germany, the U.K. and Spain — plans to cull less profitable models from its lineup and review its joint venture in Russia. In America, the company is already dropping several sedans. “We are looking to make a step-change in the performance of the business,” Steven Armstrong, Ford’s head of Europe, said Thursday in an interview. “There’ll be significant impact across the region. We will be looking at all options,” which could include plant closures. The overhaul marks another sign of pressure on traditional automakers as they grapple with fundamental technology changes, stiffening environmental regulations and trade tensions. Brexit represents a particular challenge for European automakers because of the close ties between the U.K. and the continent. Tata Motors’ Jaguar Land Rover, formerly part of Ford, plans to cut as many as 5,000 jobs in the U.K., BBC reported. Ford last year kicked off a companywide $11 billion restructuring after both Europe and Asia swung to losses and costs to invest in electric and self-driving vehicles mount. Like many other carmakers, Ford has warned it won’t meet its forecasts for 2018, and Chief Executive Officer Jim Hackett jettisoned a goal to reach an 8 percent profit margin by 2020. The company, which didn’t specify the number of jobs it plans to cut, will seek to reduce European staff through voluntary measures as far as possible, the Dearborn, Michigan-based manufacturer said in a statement. The review also includes “rescaling the footprint of the business” with Ford reviewing the efficiency of its plants, Armstrong said. Ford has already said it will cease production at a plant in Bordeaux, France and has started labor talks at the Saarlouis factory in Germany after a decision to end production of the C-MAX compact van. A review of the Ford Sollers joint venture in Russia is expected to conclude in the second quarter, it said. Ford’s European business relies on models like the recently revamped Fiesta and Focus hatchbacks. The division reported a $245 million loss during the third quarter, widening from $192 million a year earlier. Similar to America, Ford will swing to a lineup of crossovers and SUVs, and drop several derivatives to streamline its offering, Armstrong said. Over the long term, Ford is targeting earnings before interest and taxes of 6 percent of sales in Europe. This year, performance will already be “significantly better” than 2018, Armstrong said. Ford, whose business in Europe includes a “solidly profitable” commercial vehicles unit, said it will establish three separate groups for passenger cars, its vans business and imports like the iconic Mustang. – With assistance from Bloomberg’s Oliver Sachgau.